The late billionaire "seafood king" Choi Kai Yau's granddaughter Jocelyn Choi Chung Sze starred in the film A HOME WITH A VIEW (GA WOR MAN SI GAING). Two days ago the flm opened and she booked a show for her family and friends. Actually she has already seen the film at the premiere earlier and thought that she could perform even better. The entire film was very entertaining. Choi Chung Sze said that she performed in web drama before and hoped to continue to have the chance to act in the future. Playing Anita Yuen Wing Yi and Francis Ng Chun Yu's daughter in the film, she admitted that working with elders was very stressful because their performance was fast and precise. She aside from coordinating fortunately also received their understanding. Although Len Len did not teach her acting, she often taught her what was good to eat. Mainly Len Len and Chun Yu both loved food, so they would constantly treat everyone. 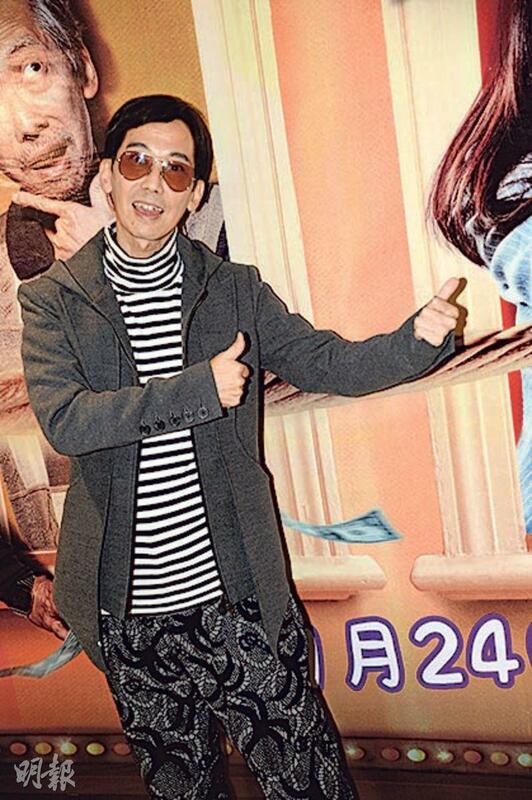 Cheung Tat Ming also booked a show for friends. He wanted to personally see the audience response more. He pointed out that this time he played the grandpa character. Everyday before the performance he had to spend two hours in make up. After the shoot he was the latest to leave as he waited for make up removal. However working with Chun Yu and Len Len was very pleasant, so it was not tough at all.